Schleich Tractor with Trailer 4237 - Toys & Learning - Schleich Specialists - 100% - Fast Service - Sale Prices. 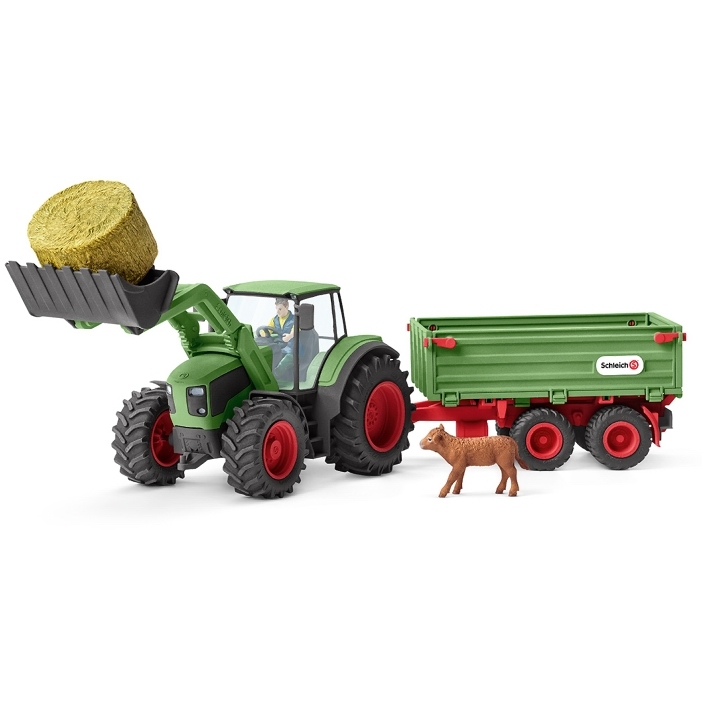 This model Tractor with Trailer is one of the top quality hand finished products from the Schleich range of Farm Animals. A must have for the wannabe farmer. A fantastic tractor and trailer set accompanied by the farmer and a calf. Goes with all the other farming sets made by Schleich so you can create your own farm.